The northern California Dungeness crab fishery in Mendocino, Humboldt and Del Norte counties will open 12:01 a.m. on Monday, Jan. 15, 2018. The opener will be preceded by a 64-hour gear setting period that will begin at 8:01 a.m. Jan. 12, 2018. California Department of Fish and Wildlife (CDFW) Director Charlton H. Bonham had delayed the season a total of three times after crab quality test results in November and December indicated that crab were not ready for harvesting. Jan. 15 is the latest the Director can delay the season due to quality testing. 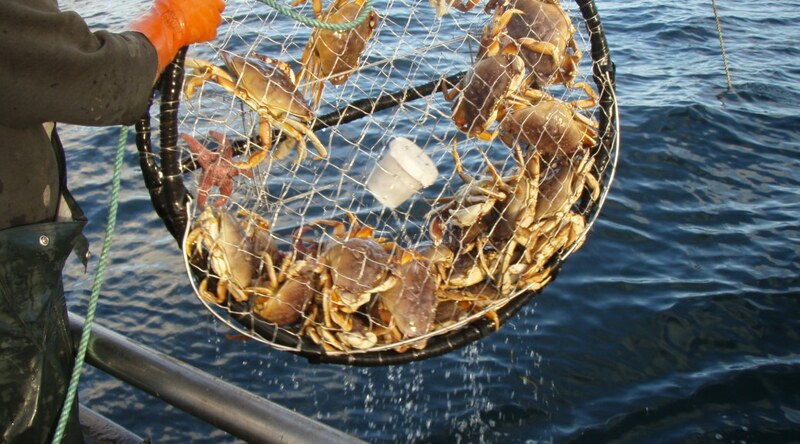 Any vessel that landed crab from other ocean waters prior to the season opening in Districts 6, 7, 8 and 9 (Mendocino, Humboldt and Del Norte counties) is prohibited from participating in the crab fishery in Districts 6, 7, 8 and 9, for 30 days following the opening of those areas. In Districts 6, 7, 8 and 9, the 30-day wait period ends on Feb. 14, 2018. Please refer to the latest CDFW Frequently Asked Questions for the current 2017-18 season concerning how the 30-day wait period also applies to Oregon and Washington’s delayed season openers. “Although we have witnessed delays in the opening of the Dungeness crab commercial fishery in recent seasons due to domoic acid, a delay in the northern portion of the fishery due to quality isn’t unprecedented. The last time the northern season opener was delayed due to quality occurred with the 2011-12 and 2012-13 seasons and both those seasons started on Jan. 15,” said Christy Juhasz, CDFW Environmental Scientist. There were also two areas in the north that were under a health advisory issued by the California Department of Public Health (CDPH) due to domoic acid since the recreational fishery season opened on Nov. 4. These were lifted last month by CDPH after continual sampling of Dungeness crabs by CDPH showed the amount of domoic acid had declined to low or undetectable levels. Recreational crabbing remains open in California statewide. All anglers are strongly encouraged to download the 2017-18 Best Practices Guide and observe best practices to reduce incidences of whale entanglements with crab trap gear. This guide was developed by the Dungeness Crab Fishing Gear Working Group, a collaborative effort between commercial crabbers, state and federal agencies, and non-profit organizations. For more information on health advisories related to fisheries, please visit www.wildlife.ca.gov/Fishing/Ocean/Health-Advisories. More information on Dungeness crab, please visit www.wildlife.ca.gov/crab. How Would More Delta Water Pumping Affect Fish?